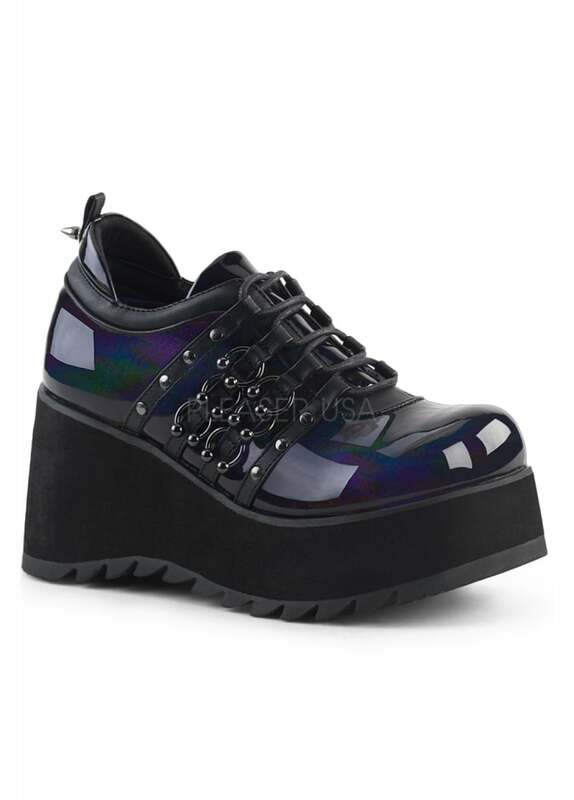 The Scene 31 Hologram Platform Shoe from Demonia is a black patent wedge with holographic effect. This gothic shoe a lace up front with, studs and horseshoe rings. The alternative shoes have a wedge platform sole.